Annie Wear has been created by a family that has a passion for dogs, cats, horses, parakeets, hamsters and even fish. They believe that they need the pet as much as it needs them. If you are a pet lover you know this exact feeling. So when the need to come up with money to help protect the pets Annies Home was born. The pup that started all this passion goes by the name of Annie. 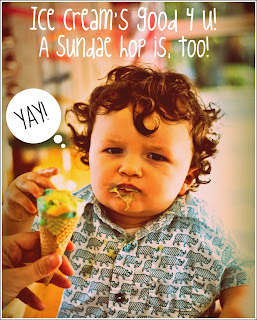 AnnieWear offers the best selection of animal themed baby and toddler clothing and gifts. A portion of all AnnieWear sales are donated to animal rescue programs around the country. The goal is to give back to the animals. Recently our little Prince was sent a onesie. 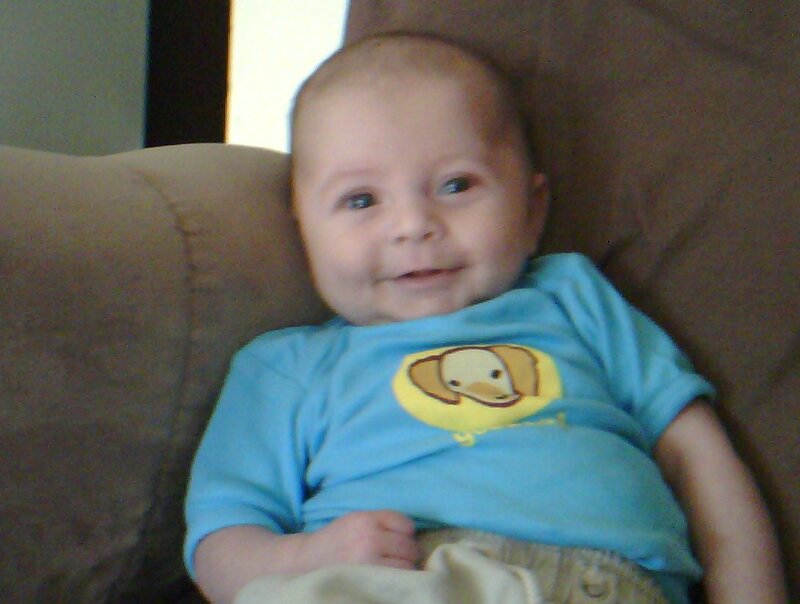 Just look how super cute he looks in his AnnieWear onesie. The blue in the Annie Wear helps to bring out his super cute little smile and while you can't really see it in the pictures I shared (Prince is a smiler not a model) the cute puppy print on the onesie looks great. 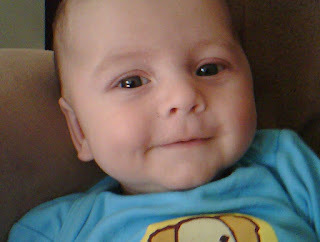 I think it is quit adorable and the softness of the onesie left us both smiling just a bit. Summer is here and many of us will find our selves spending lots of time outside. One thing that my grand-babies will be doing lots of is spending time in the water. The effects of the sun on our children's precious eyes can be overwhelming. That is why Baby Banz the protection experts are offering yet another great resource that we can use to protect our children. Baby Banz swim goggles are a must have when spending lots of time in the water. We were able to receive a pair of swim goggles to review. Because these will be for Princess we were sent a beautiful pink pair of goggles. While they look super cute and I know that when we start swim season Princess will love them they are also an item that we can know as grand-parents that we are providing the best for her. Safety is a priceless gift that we strive to offer our children and grandchildren as often as we can. Thank you Baby Banz for providing us with the tools to do this. A recent addition to the Baby Banz line up is the swim goggles that we were able to review. They are designed for ages 3+ and are perfect for swimming lessons or at the beach for fun. The goggles are made up of tough and durable polycarbonate, the lenses are 100% UV protective. One feature that I like is that they are anti-fog which means unlike my eye glasses that often fog up the goggles lenses are prevented from fogging up. I must admit as well that the pair of goggles that we received were not the hard plastic like goggles in the past but are made up of soft silicon cups. A child will not wear anything that is uncomfortable so it is important to make sure that the goggle are comfortable to ensure that the child will keep them on their face. The goggles are available in two colors at this time being pink and blue and they come with a color coordinated hard case. Thank you to Baby Banz for sending me a pair of their swim goggle for review purposes. The thoughts shared in this post are mine and have not been influenced. We have had the privilege as of late to review products from dei Fratelli. Dei Fratelli is a four generation family owned company that takes its produce as serious as it does family traditions and good cooking. Pride is taken in the fact that their products are made up of the finest ingredients possible. The freshness in their food comes out strongly in their product leaving the dishes I cooked with a taste that was superior. They take pride in the fact that their products are made up of the finest ingredients possible and the fact that they know where the tomatoes they use come from because the company grows them from tiny seedlings Coming from a family of farmers I know how important this is to know exactly where your food comes from, how it was grown and trusting how great it will taste. The history of the Dei Fratelli product reaches back four generations The families of Hirzel and Dei Fratelli have achieved the reputation as a strong, honest, family oriented brand that strives to keep the strong sense of integrity in their selves as well as their product. 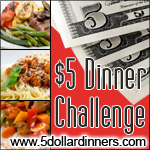 They work hard to bring that great taste to your families kitchen. Farming families are some of the hardest people that I know. They work the earth to achieve a product that not only they are proud of but they want others to be proud of it as well. The products that they create will be served to the consumers family and friends and they want the server to be able to say with a smile exactly where the product came from. 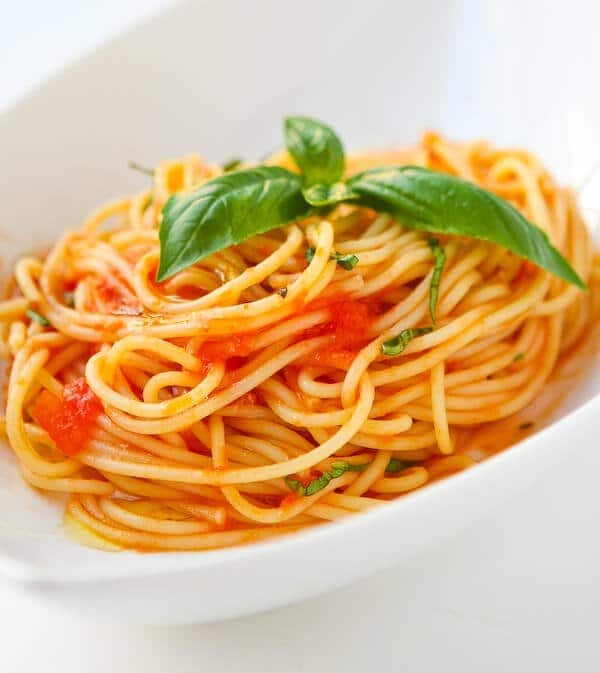 The makers of Dei Fratelli tomato products, pasta sauces, and salsas are committed to safety , quality control, and flavor They are committed to be the very best They raise their product with quality, relationships and care from the very beginning and carry it through to the canning of their all natural products. They care about the customers and strive to bring the highest quality products to dinner tables and continue to look for ways to go meet the expectations and make the consumer pride of the dishes they prepare using the Dei Fratelli product. My teens loved the Dei Fratelli salsa that we were sent for review awesome taste the thickness was perfect for serving with chips and you could actually see the rich ingredients in the salsa. We had a ball reviewing the assortment of products that were sent to us for review. The pizza sauce was a hit and I have been told that the sauce was among the best that they have ever had. The sloppy joe sauce I felt great serving to the teens as it is one of their favorite meals but sometimes not knowing where the ingredients in the can came from gives me a bit of worry. My mother used to can and put up the needed tomato products so that we had them when needed. My busy world has us going in so many directions that I do not have time to do this for my own family. That is why I am happy to see that Dei Fratelli is there provide natural ingredients in wonderful sauces, tomato products, salsas and more. we were sent a sample of their product line for review purposes. The thoughts shared in this post are those of mine alone and were not influenced in any manner. Just a few short months ago a new member of the family was born. Our little Prince was born and with him a whole world of love and a little bit of worry. Our family has seen SIDS come in and steal the joys of a new baby before and this is one thing that we do not want to happen again. Our first grandson was a moment of great joy when the doctors said that he had a bit of acid reflux the worry of what would happen was present. The Guardian Sleeper is an innovative swaddling product created by two moms. It is both a positioner and cover in one that allows you to automatically put the baby into a secure back to sleep position recommended by the American Academy of Pediatrics. One thing that I thought was great about the product is that no matter where the baby sleeps there is a guardian sleeper for that need. 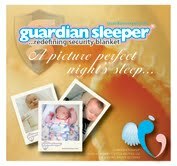 Whether it be a crib, craddle or a pack n play they have a Guardian Sleeper available to help protect your little one. I love the name as it makes me think of someone protecting our little one when we are not able to. After all that is what a guardian does. We recieved a Guardian Sleeper Pack 'N' Play style. Since it had been decided that our Prince would sleep in his parents room in a Pack 'N' Play we were happy to see that there was a Guardian Sleeper developed just for this need. It was nearly 26 inches wide and 1 inch deep. The sleeper simply slides over the mattress simply like a pillow case fits a pillow. This helps to hold the baby in the "back to sleep" position. It looks like a little sleeping bag with a hole for each leg where the baby can be comfortably positioned. Our little prince looked comfortable and as warm as a pea in a pod. You can purchase your own Guardian Sleeper from their website located at http://www.guardiansleeper.com/ As I stated before the Guardian Sleeper comes in a variety of sizes so there will be one perfect for you and your little one. Slice eggs in half lengthwise; remove yolks and set whites aside. In a small bowl, mash yolks. Add the next 10 ingredients; mix well. Evenly fill the whites. Garnish with parsley and paprika. Yield: 2 dozen. 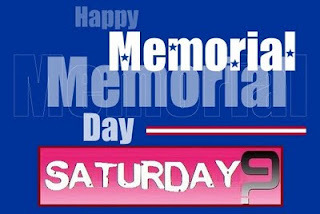 Memorial day to me is a day of remembering. My mother and grandmother and many others used this day to visit cemeteries to honor those that have passed with beautiful flowers. To tell you that thinking of those individuals and honoring them does not pull at my heart even now would be an understatement. My mother never really had a lot of money to buy wreaths, grave blankets or other decorations so she made her own. She would go through out the yard where there were many beautiful plants in bloom and make bouquets of lilacs, roses, lillies and other flowers that were in full bloom in the yard. Mason jars were the vases of choice to hold the beautiful flowers. These would be left at each grave from my great grandparents on up. So that is part of what Memorial Day means to me honoring those who have passed. Now as I have grown older I also see those that I did not know are to be honored as well. Those that stood up and made our country proud are to be honored for sure. These men and women are awesome and all should be honored. Memorial Day is also a day to get together and enjoy the family at a picnic, ballgame or other event. Many times Memorial Day is considered the sign of summer as the local pool opens and the attitude that comes with summer is apparent. To me and many others Memorial Day is a wonderful day to remember but it also the day that many great things happen. Summer things that is the pool opens, many grill out and all try to enjoy the great weather that marks the beginning of summer I thought that I would share a few summer organization tips with you because life always seems easier when I am organized and no better time to relax a bit than summer time. Make sure you are ready for grilling time by creating a place where you will keep all the barbecue supplies that your family will use. Know where the material you use for the grill whether it be charcoal, wood, wood chips, lighter fluid, spatula, and any other accessories you use are. It is very easy to organize these materials in a crate or other place. By having everything organized you will know where it all is when you need them. If you have a swimming pool that you enjoy using to get out of the summer heat It is so much easier to clean a pool, play in the pool and simply enjoy the pool if you know where all materials needed for the pool are. A great idea is to keep the chlorine, testers, pool patches, brushes and anything else that you use to keep the pool clean in one place consistently. Having your children keep the pool toys in a tub near the pool is another great idea so that when they are swimming they will not have to look for that one item that they are looking for. Organize some family outings that are either free or low-cost can often be easily located in your local newspaper. In our area there are art fairs, festivals, outdoor concerts, sporting events, library summer programs and more. Find out what is going on in your neighborhood and organize your calendar to take advantage of a few of these. Push V into end of straw and put a piece of tape around. Put end of straw into flower and push through so the pipecleaner is inside the flower. Wrap each finger around a pencil to curl. Cut a long leaf shape out of green construction paper and tape onto the straw. Curl the leaf like you did the fingers. We put two leaves on each stem. This isn't just a lily as you can plainly see. I hope you have a very, special Mother’s Day! Now that my kids are in school, it gets a little boring around the house during the day. So I'm trying to find better ways to use up my time. I thought that I would do some catching up with my sister so I invited her over for lunch and just to hang out during the day. Even though we spent time together over the holidays, it's not like you can catch up while you're running after little kids the whole time. She's always been a really great cook and is always sending me over recipes that she's recently found. So I really wanted to fix her a nice meal with something that's a l! ittle different. I went online to find some ideas for that and when I was doing that I came across a http://www.wildbluedeals.com/ that sounded really great. So after i read through that some, i decided to sign up for a new broadband service. I found a avocado egg salad recipe that sounded really neat so I'm going to fix that for her. But I also need to find something else to serve too. 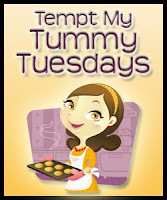 We have been sharing our path to switch the food of a special family member with my readers for the past little while. We were giving the opportunity to review Pedigree and share the thoughts I made with it. Now this third post sees us at the point that not only are we seeing how Pedigree dog food has helped make improvements in Corky's life but Corky himself welcomes the food at each feeding as well. We have noticed that Corky's appearance is a bit more appealing. Corky is like most dogs and loves to roll around in the dirt and grass and therefore his coat and skin become dirty at times. His skin and coat have a more healthy appearance after using the Pedigree during this trial period. While we are still yet to see the long time effects I must say that there are all ready a few items that we have noticed. His teeth look a bit brighter and healthier and his digestion has improved in the fact that there are natural effects (you know what I mean) that easily suggest that Corky is having an easier time digesting his food. 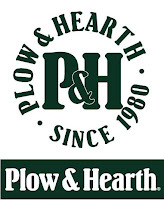 I must admit that I often thought that Pedigree was one of those items where the name was being bought and the product was one like many other cheaper brands. Man was I wrong I now know that Pedigree offers the best for your dog and has become a trusted brand. I will continue to feed Corky Pedigree formula because he seems to like it and I love seeing the effects that it leaves behind. I have all ready shared the Pedigree brand with friends and families and upon getting the chance I will continue to spread the word. Combine crumbs, 3 tablespoons sugar, and egg whites; toss with a fork until moist. Press into bottom and up sides of a 9-inch deep-dish pie plate coated with cooking spray. Prick crust with a fork before baking. Bake at 350° for 10 minutes. Remove from oven; cool on a wire rack. Combine milk and remaining 1/4 cup sugar in a heavy saucepan over medium-low heat. Cook 2 minutes or until sugar dissolves, stirring constantly; transfer mixture to a bowl. Add peanut butter and vanilla, stirring with a whisk until combined. Cover and chill 30 minutes. Place cream cheese in a large bowl, and beat with a mixer at medium speed until light and fluffy. Add milk mixture, beating on low speed until combined. Fold in whipped topping; pour mixture into prepared piecrust. Freeze, uncovered, 8 hours or overnight or until hard. Sprinkle with peanuts and shaved chocolate. Transfer pie to refrigerator 30 minutes before slicing. I must say that I am attracted to the new infants Tylenol bottle with syringe. I believe it will be much easier to measure and give to the child Tylenol will also have new dosing directions related to the change in concentration. •Infants’ TYLENOL® will have the same concentration of the active ingredient, acetaminophen, as Children’s TYLENOL®, which will standardize dosing across our products and age groups. 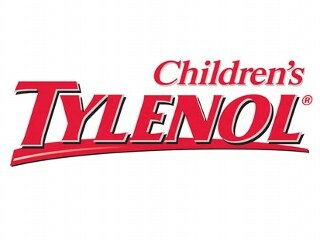 •Tylenol has been working closely with other manufacturers of pediatric acetaminophen products to encourage an industry wide transition to one concentration across infants’ and children’s acetaminophen products. •There will be a time period when more than one concentration of infants’ acetaminophen products will be available in stores and parents and caregivers might have both in their medicine cabinets. Caregivers should be mindful to always read and follow the dosing directions on the package that is being used. •When Infants’ TYLENOL® products return to store shelves, they will include these changes. •As always, Infants’ and Children’s TYLENOL® products will continue to include specially designed dosing devices appropriate to the age of the child. •Parents and caregivers should contact their child’s healthcare provider if they have questions about dosing instructions. •Never give adult medicines to children. •Use the measuring device (syringe, dropper, dosage cup) that comes with the medicine every time you use it. Don’t use kitchen spoons (teaspoons or tablespoons). •Read and follow instructions on the label. Never give more than the recommended dose and do not give the medication more frequently than recommended. •Store all medicines out of the reach of children. Immediately following use, always restore the child resistant cap and put the medicine back into a high and out of sight location. Tylenol is a brand that has always been held in high regards in our house and I am so happy to see that they are the type of company I always thought they were. By taking the steps to make sure that our children are getting the product that they need and one we can trust Tylenol will long remain a product that we trust in our house. To learn more about the changes Tylenol is making, visit the Tylenol products update page or visit http://www.tylenol.com/ . Nutty Nicky a gray squirrel who hides away his cupcakes for the winter season. He is dressed with a pale yellow colored icing cap with colorful dots that help bring color to him. Nutty Nicky also arrives in a cupcake wrapper that can be removed. Bamboo Berry is one of my favorites among the PetCakes His colorful icing is my favorite color and brings out his blue hued eyes. Oh who doesn't love a panda bear and when he comes dressed as the cupcake to celebrate the occasion he is even better. The adorable PetCakes and the four I shared here are only a few of those available in the collection of fun pets are all ready to have lots of fun. I know that Princess loves them but my teens love them as well. They are the type of friends that are cute enough to be a treat to anyone. If you know someone who needs a pick me up, celebrating a birthday or you just need an occasion to celebrate then be sure to check out the PetCakes. Make filling: In a large bowl, combine strawberries, 2 tbsp. sugar, the zest, and juice. Let sit 10 minutes. In a medium bowl, whisk cream with remaining 4 tbsp. sugar until it holds a stiff peak. Assemble cake: Using a serrated knife, slice both cake layers in half horizontally. Set rounded tops aside to use as middle layers. Dollop 1 tbsp. whipped cream onto the center of a cake stand (to hold cake in place). Place 1 of remaining layers on stand, cut side up. Spread with about 3 tbsp. jam. Sprinkle with about one-quarter of the sweetened strawberries, along with some juice. Then dollop one-quarter of the cream over strawberries. Repeat with second and third cake layers, using the reserved rounded tops. This is a great craft that has a lesson to go with it you can find the information at this link. Line 12 muffin cups with paper baking cups. Place about 2 teaspoons chow mein noodles into each. Melt chocolate according to package directions; spoon about 1 tablespoon into each cup to cover noodles. Refrigerate at least 1 hour to set. In mixer bowl, combine cream, Splenda® and vanilla; beat on medium speed of electric mixer until soft peaks form. Gently fold in blueberries. Spoon an equal amount of cream mixture into each cup.